We extend love to children in need, creating families in the process. 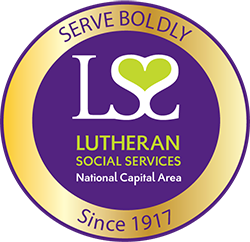 By facilitating adoptions and providing foster homes for unaccompanied refugee youth who have experienced tremendous adversity, LSS/NCA creates the connections that save lives, change futures and strengthen families and communities. Today, LSS/NCA places Unaccompanied Refugee Minors (URM) in foster homes in our community. Roughly 600,000 children across the globe are fleeing war and persecution. many of them have no family left to care for them. Open your heart and home to a child in need. In addition, our experienced social workers provide home studies and case management to those looking to grow their families through international or domestic adoption. After living in a broken home, Kimora was afraid to love. But she is not a sob story. She is a fighter because she believes in hope and a better future.